Join award-winning members of Murder Squad, including Ann Cleeves, Martin Edwards, Kate Ellis, Ashley Dyer (Margaret Murphy), Chris Simms and Cath Staincliffe for a full day of panels, discussions, and Q&A. You will have the chance to attend different author sessions, including interviews with Dr Jackie Collins (aka Doctor Noir), pose questions to the full panel and meet the squad! Whether you’re a fan of their novels, an aspiring writer wanting some tips, or like to channel your inner detective – there is something for you. 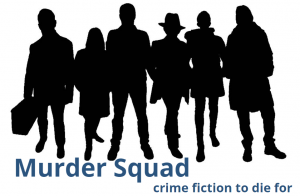 The Murder Squad will be joined by forensic expert Helen Pepper for this all day event aimed at book lovers. Meet the authors, get books signed and ask those burning questions you’ve been dying to ask!